Facebook/Papaya club @ Zrce beachThe island of Pag in Croatia is known for throwing some of the craziest pool parties around. 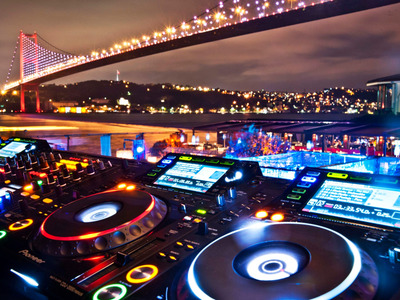 Some of the world’s most stunning destinations are also home to incredible nightlife for travellers to explore. From iconic clubs to world-renowned festivals, these places give travellers the chance to experience the party of a lifetime. We’ve put together 26 party destinations to cross off your bucket list, from the wild pool celebrations in Pag, Croatia, to the trance scene in Goa, India. Get ready to get your party on. AMSTERDAM, NETHERLANDS: Whether you're looking to dance the night away to electro beats or catch live bands, you'll find it in Amsterdam. The city is home to dance clubs, bars, and casual clubs, and it also hosts one of the world's biggest electronic music showcases -- the Amsterdam Dance Event. AUSTIN, TEXAS: Austin is full of young musicians and artists that flock to the city's many bars. 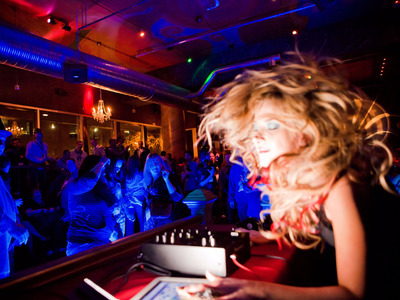 Start on Sixth Street and make your way west for an epic bar crawl mixed with great live music. BALI, INDONESIA: Bali's Kuta Beach may be known for its prime surfing spots, but it's also home to wild late-night parties, busy streets, and beach raves that draw in thousands of backpackers and locals. Plus, you can party on a budget here, since cheap drinks are their specialty. BARCELONA, SPAIN: In Barcelona, it's easy to party on a small budget at spots like Espit Chupitos, where their quirky shots are all only two euros each. Party through the night at the city's many clubs before hitting the beach, where crowds continue the party onto the sands. 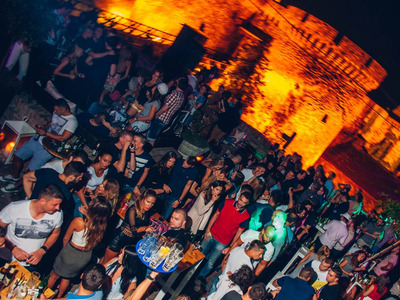 BELGRADE, SERBIA: Head to Belgrade's eclectic Skadarlija district to explore its many bars or dance the night away at one of the city's river clubs, where you'll be treated to incredible views of the Sava and Danube Rivers. 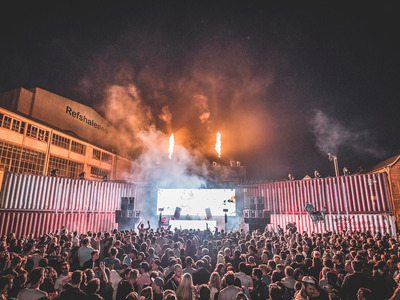 BERLIN, GERMANY: Famous for its incredible nightlife scene, Berlin is home to both underground techno clubs and rock and alternative venues that host events late into the night. No matter what time you arrive, you can find a party happening here. 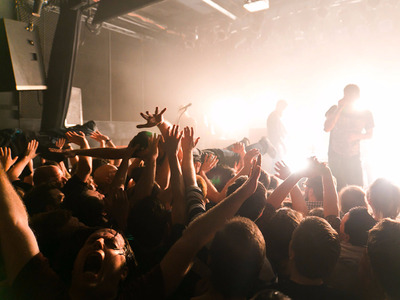 COPENHAGEN, DENMARK: Copenhagen is home to Europe's wild Distortion festival, which celebrates the city's underground music and art scene and includes huge street parties, music, and a never-ending supply of Danish beer for five days. DUBAI, UNITED ARAB EMIRATES: Dubai offers everything from upscale cocktail bars and booming clubs to casual joints for grabbing a drink. 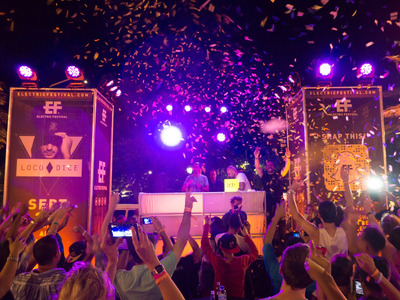 It also hosts an epic New Year's Eve party at the Meydan Racecourse that goes until 5 p.m. the next day. 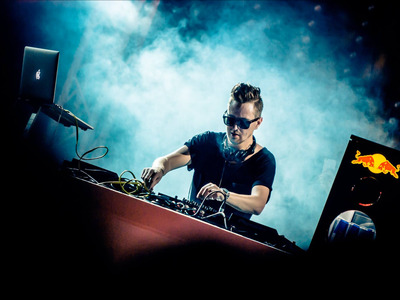 GOA, INDIA: Goa has an exciting EDM party scene that has even led to the creation of its own style of music called Goa trance. 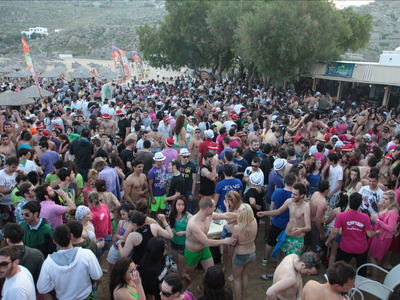 Here, parties can last for days on the city's streets and beaches. 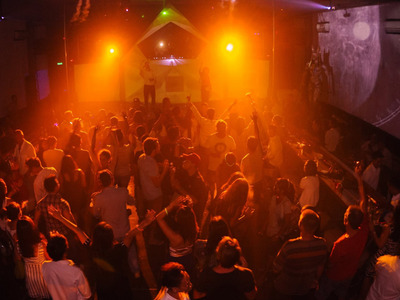 Goa is known for hosting some of the world's largest silent discos. 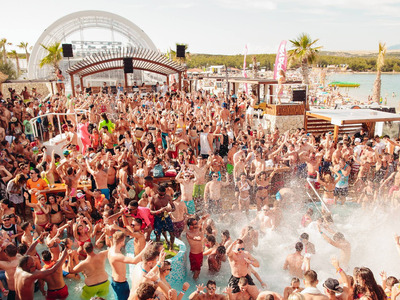 IBIZA, SPAIN: This Mediterranean destination is known for its raucous nightlife, with top DJs performing at the island's hottest clubs. Dance the night away at spots like Privilege, which is the world's largest nightclub, or at Amnesia, which is famous for its foam parties. ISTANBUL, TURKEY: Istanbul is known for the wild shenanigans that take place in its famous Taksim Square. It is home to one of the world's most diverse populations, where Americans, Europeans, Middle Easterners, and Asians travel to experience some of the world's hottest nightclubs. 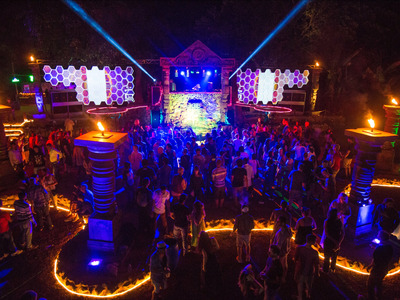 KOH PHANGAN, THAILAND: Thailand's Full Moon Party takes places across several locations throughout the year, but Koh Phangan is hailed as one of the most memorable. Once a month -- when there's a full moon -- partiers converge on the small Thai island to drink, dance, and jump the famed rope of fire. LAS VEGAS, NEVADA: Nicknamed Sin City, Las Vegas hosts some of the best pool parties during the day and bustling clubs where you can party for hours on end at night. MARBELLA, SPAIN: In Marbella, Puerto Banus is where the rich and famous go to play. The resort town hosts an endless supply of restaurants, bars, and clubs that host crazy parties like the champagne spray parties at Ocean Club. 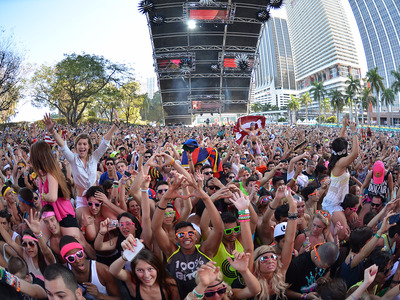 MIAMI, FLORIDA: In Miami, electronic music lovers will enjoy the city's many festivals, like Ultra, in addition to mega nightclubs like LIV and Story. Those in search of enjoying incredible food with local music should also check out the venues that line Calle Ocho. MYKONOS, GREECE: This small Greek island is home to larger-than-life parties that start on the beach in the mid-afternoon and go until the next morning. 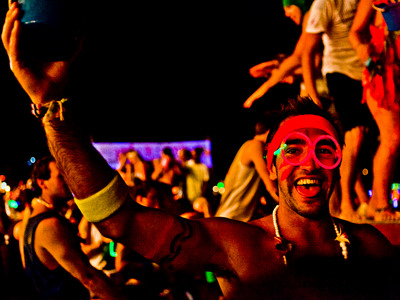 Head to Super Paradise Beach, one of the best places to party, or try one of the many clubs and bars around the island. 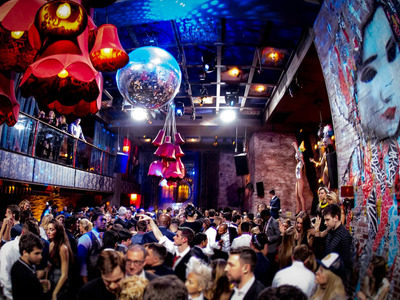 NEW YORK, NEW YORK: New York's late night clubs and 24-hour restaurants have earned it the nickname 'the city that never sleeps', and you won't have to either while you're here. The city is bursting with energy all day long, and it's public transportation makes partying a cinch. 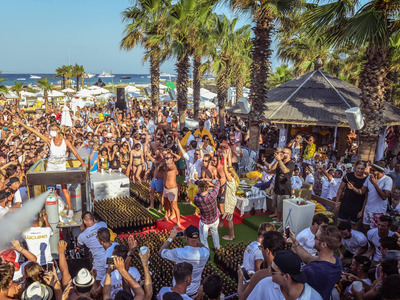 NISSI BEACH, CYPRUS: For the ideal summer party getaway, head to Nissi beach in Cyprus, where you'll find weekly foam parties, beach parties, and famous DJs spinning beats. Plus, you'll be treated to crystal clear waters while you enjoy the scene. 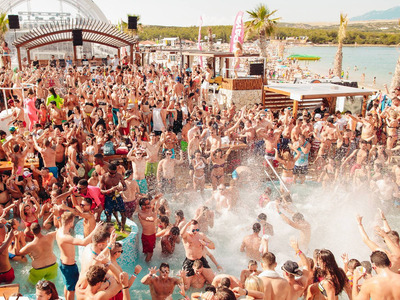 PAG, CROATIA: For wet and wild pool parties through the day, head to Pag in Croatia. 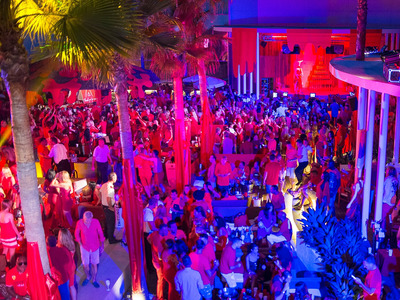 The hotspot for pool and beach parties is also budget-friendly, making it the perfect place to party guilt-free. 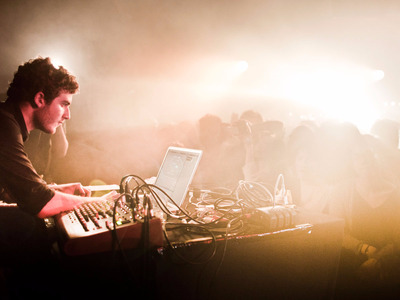 PARIS, FRANCE: Artists like Daft Punk helped pave the way for French house music, which still floods the streets of Paris today. 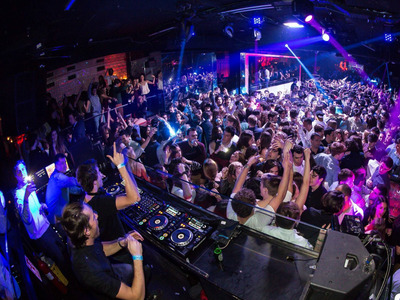 Head to places like Rex Club, La Locomotive, Social Club, and Le Rouge to party to French house beats late into the night. REYKJAVIK, ICELAND: Reykjavik's nightlife scene ranges from '80s music and trance to goth and punk tunes. The city has the tradition of 'runtur', where you cruise from bar to bar throughout the night, and it also hosts the Secret Solstice Festival, where you can party to top musicians under three days of continuous sunshine. RIO DE JANEIRO, BRAZIL: Besides hosting Brazil's largest Carnival celebration, Rio de Janeiro is also home to live music venues and a bustling underground music scene. Check out huge music festivals like Rock in Rio or enjoy the extravagant floats and costumes you'll see during the Sambadrome parade. SAINT TROPEZ, FRANCE: A popular destination for wealthy travellers, Saint Tropez is home to parties that often take place on private yachts and beaches, or at bars that overlook the Mediterranean Sea. 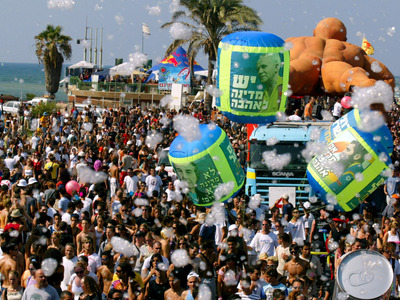 TEL AVIV, ISRAEL: Unofficially dubbed 'the city that never sleeps' for its vibrant nightlife scene, Tel Aviv hosts bustling beach parties and a huge club scene where you'll find around-the-clock partying. 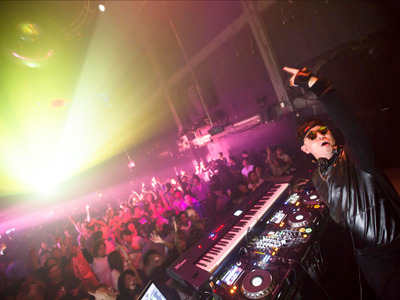 TOKYO, JAPAN: In Tokyo, you can start the night off with karaoke before heading to the city's futuristic-style clubs. The whirlwind of neon lights, packed clubs, late-night spots, and scandalous fetish shows have made this city one of the wildest party destinations. WHISTLER, CANADA: Whistler may be known for its amazing skiing and snowboarding terrain, but it also has some epic après-ski parties. 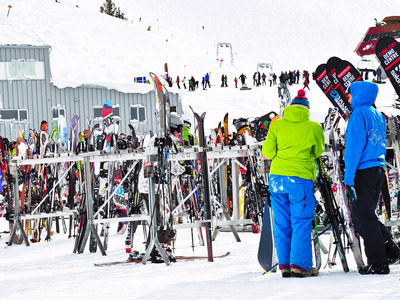 Hit the slopes before sipping cocktails in posh lounges and going clubbing with international DJs.